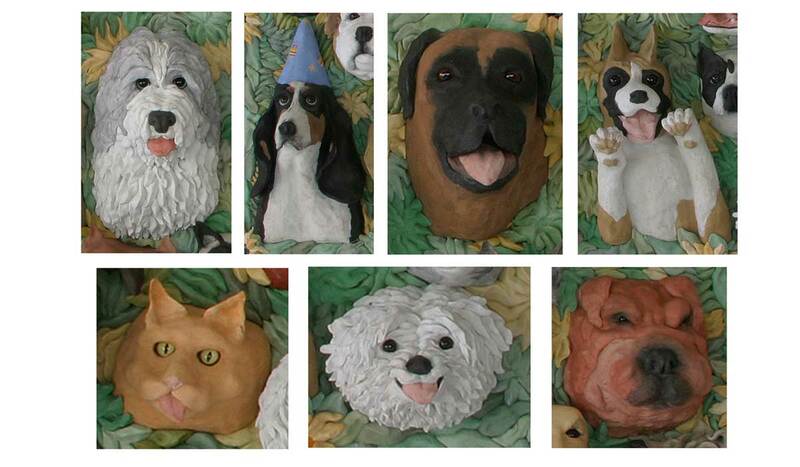 Faducci | Dog and Cat Bas-Relief, Love of Pets, Grass Valley, CA. Love of Pets, Grass Valley, CA. A bas-relief piece created for a veterinarian office. 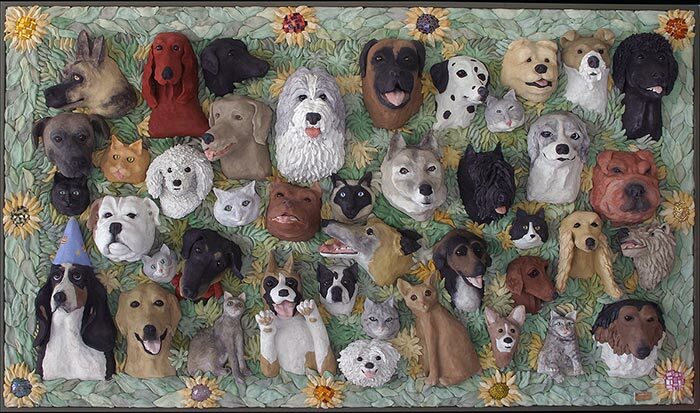 All the animals represented in this memorial piece were created from the memories of the staff’s beloved pets. The sculpture offers a warm welcome to clients as they enter the hospital. Entry Arbor and Gate, Southside Community Garden, Sacramento, CA. Komodo dragon, Woodland Park Zoo, Seattle, WA.